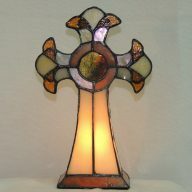 Brandi Mini stained glass accent lamp. 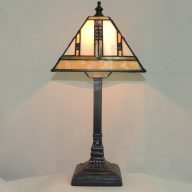 This Brandi Mini memory lamp has a tasteful lattice design adorning the stained glass shade with colors of cream, amber blue and green. Easy to assemble…just pull electrical wire through the base, screw on lamp holder, put in bulb and attach shade. This great gift in lieu of flowers also has four cabochons and two gorgeous crystal roses. 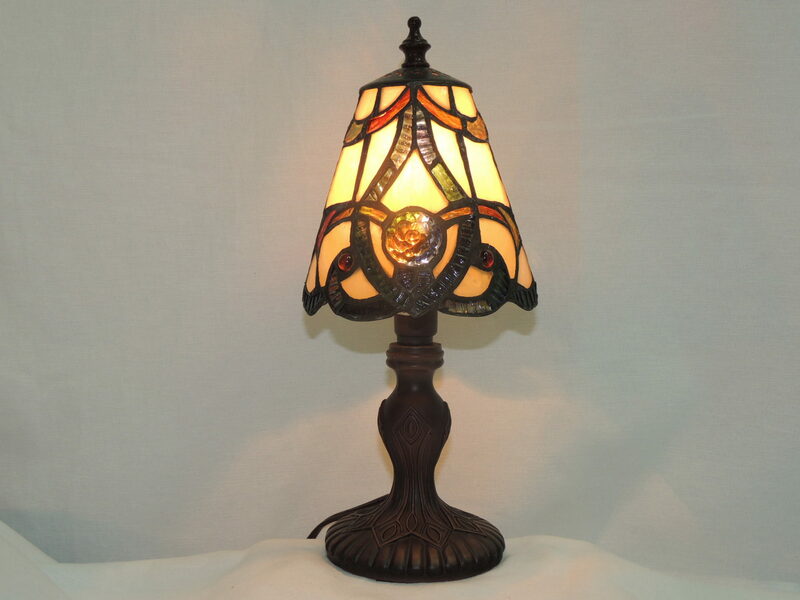 The base has a stylish design which will compliment most home decors. 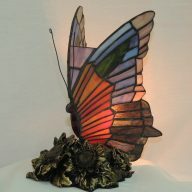 This lamp can fit in just about any space, which makes it a great choice if you are not quite sure of what kind of space the person receiving this most thoughtful gift has.